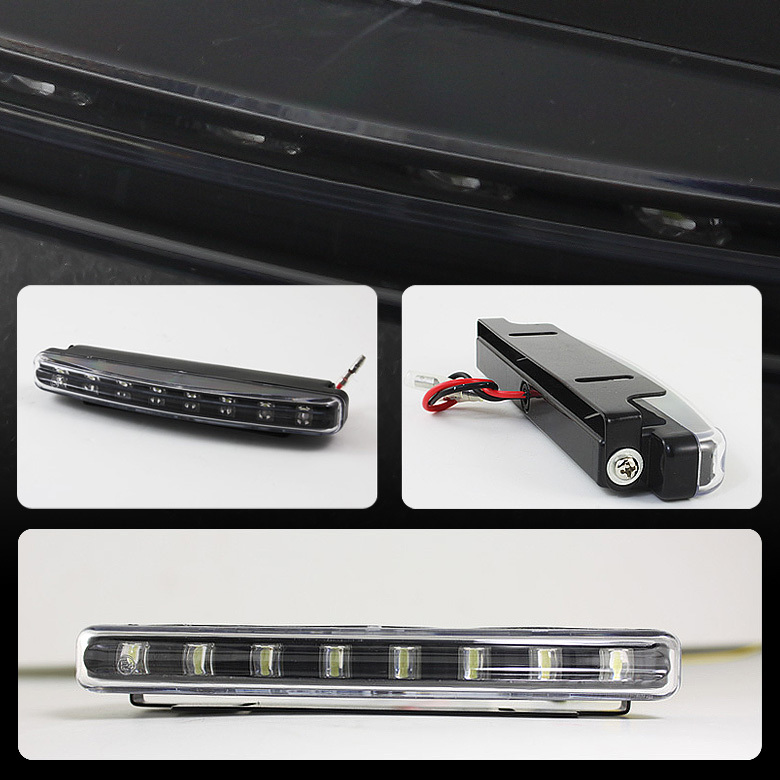 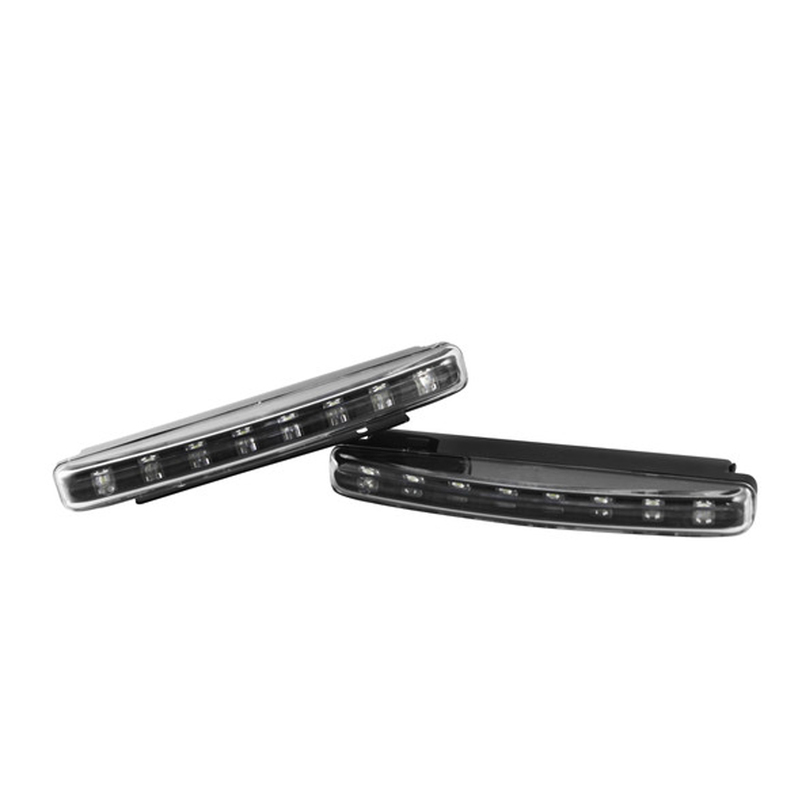 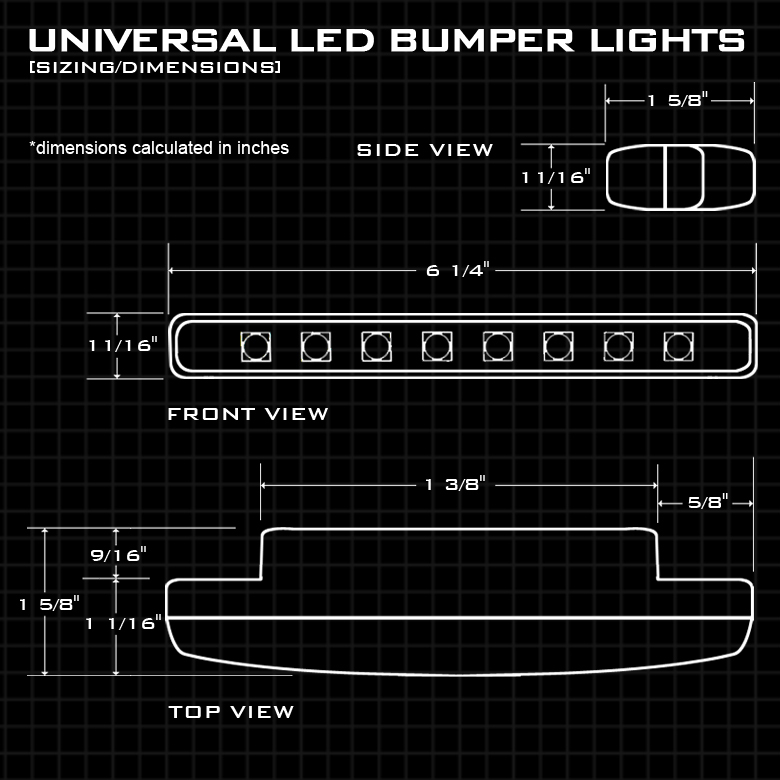 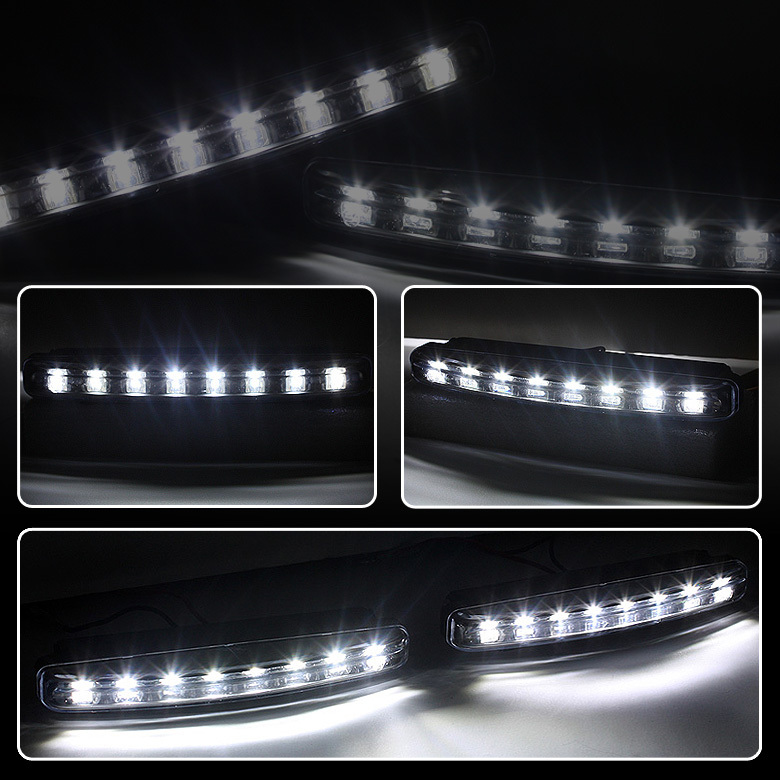 A set of super bright LED day time running lights with built-in LED turn signal function. 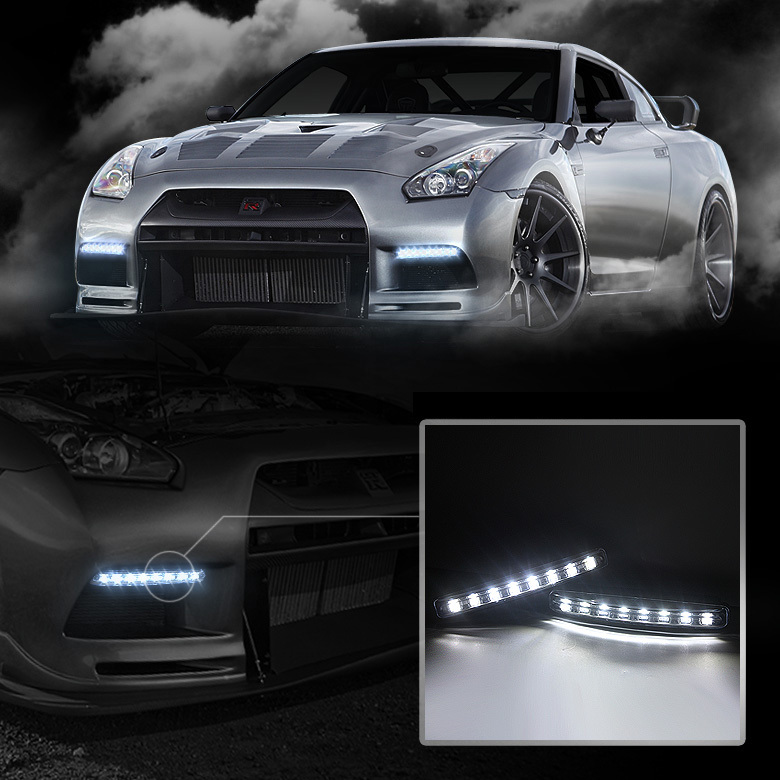 This is a dual functioning Day Time Running lights. 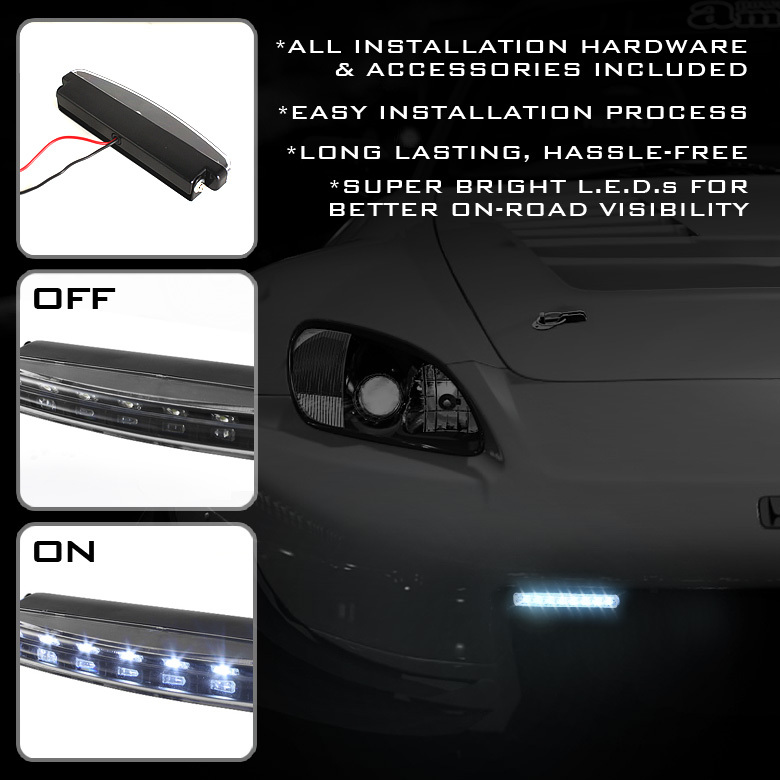 The kit comes with LED lights for both side, and it comes with all necessary wiring for simple installation. 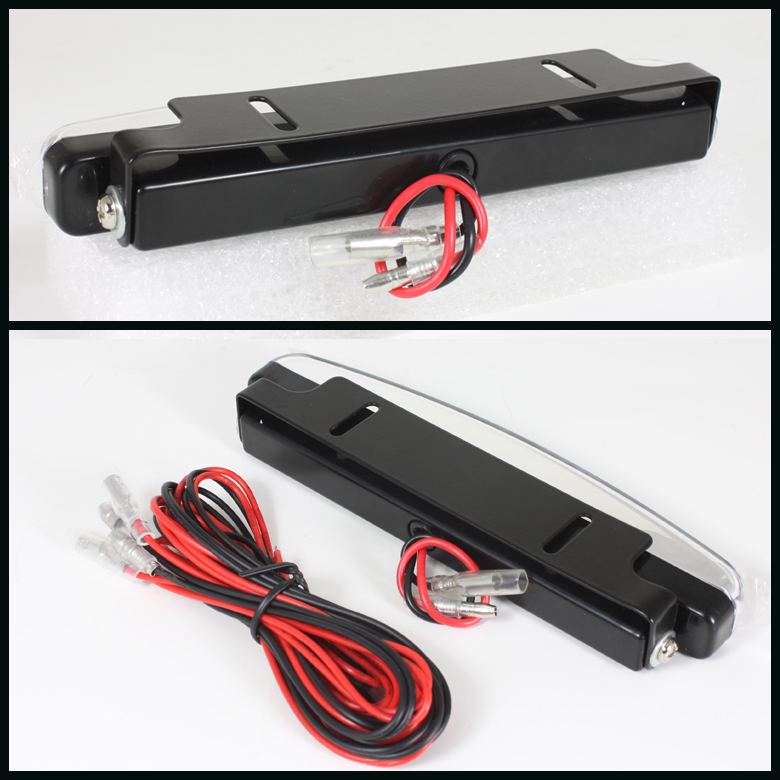 The Day Time Running Lights are designed as a universal fit item, so it will fit all vehicles with the universal bracket that is provided with the kit.